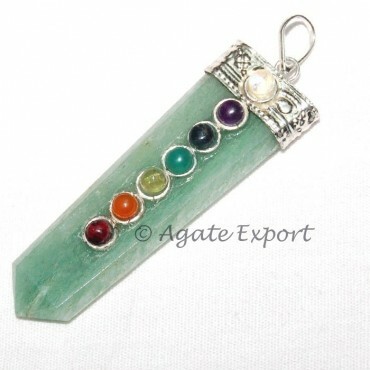 The seven stones on this pendant depict the seven chakras of the human body. This green aventurine chakra pendant will open the chakra centers for the free flow of energy. Besides giving you a modish appearance, this pendant will attract luck and money. Wear this if you are going to a meeting or if you are trying to negotiate with a party, you will succeed. Get this pendant on Agate Export at a pocket-friendly rate.